When it comes to the question of how to make relationships last, most people would answer with “love,” “trust,” or maybe “understanding.” While all of these components are necessary for a healthy, long-lasting relationship, it’s actually a lot more complex than that. One professor was so curious about what makes relationships last that he analyzed over 1,000 studies to uncover the answers. Brian Ogolsky, an associate professor in human development and family studies at the University of Illinois Urbana-Champaign, analyzed all studies published since the 1950s about “relationship maintenance,” and then made a list of the most commonly cited strategies for making things work. He and his team sorted through the studies for two years, and noticed a few common themes among the data. First, people used two different techniques to keep their relationships afloat: 1) stopping it from ending, and 2) nurturing the relationship. Couples also used techniques to avoid breaking up, such as making sacrifices and forgiving each other after a fight. Ogolsky realized that in relationships, both individuals and couples keep the bond strong, because each contributes to the relationship in different ways. 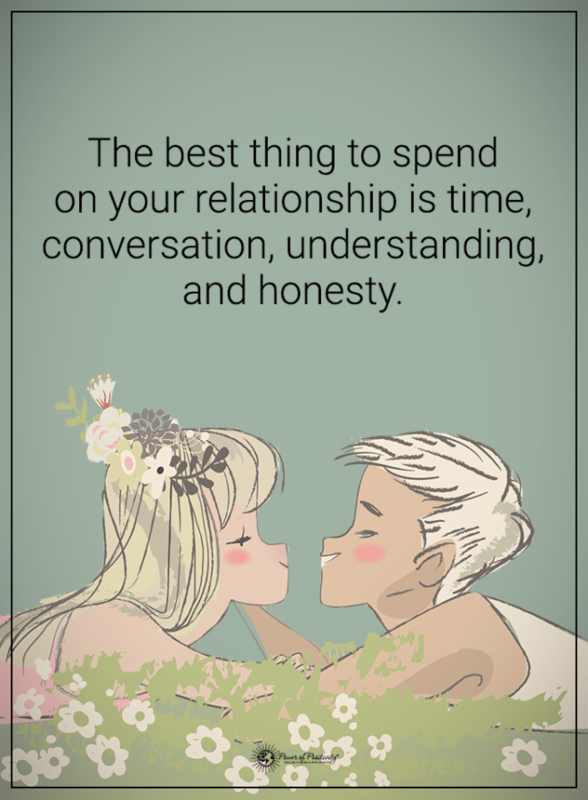 With those things in mind, let’s get to what exactly keeps relationships alive! We’ll break it up into what couples do, and what individuals do. 2. Think their partner and relationship is the best: Partners often idealize their other half by thinking they are smarter or hotter than they really are, or thinking their relationship stands out in some way. Most couples like to believe that their connection is special, hence the reasoning to stay in the relationship. If either partner stops believing this, “the writing is on the wall,” says Ogolsky. The belief that your relationship is above average motivates you to stay in it. 1. Deal with conflict: Couples who stay together for a long time manage conflicts by compromising, apologizing, or agreeing to disagree. Those who don’t engage with their partner or give the silent treatment have a much lower chance of making things work. 2. Forgive: The concept of forgiveness is important to any relationship. But, Ogolsky says, forgiving too much can actually put a relationship on the rocks. “If you’re a constant forgiver, there comes a point where it’s not great for your relationship because someone is taking advantage of you,” he says. “That can actually erode mental health.” Being a doormat in a relationship only leads to resentment. 4. Be there for each other: In research terms, this is called “facilitation.” This includes anything your partner may need help with, such as time management or completing a project. Helping each other out helps to strengthen the relationship bond and make larger goals come to life. 5. Be each other’s stress reliever: Rather than adding to the stress, couples that stay together attempt to reach a solution or simply provide comfort and support for their partner. 2. Show generosity: This means “any random act of kindness toward your partner,” says Ogolsky. Examples of this would be taking out the trash when it isn’t your turn, or making dinner for your partner after a long day. 3. Express thanks: Gratitude for both the relationship and partner have been shown to strengthen the bond between couples. However, this also has to be a two-way street. 4. Pray for their partner: You might not think of this as a common way to make relationships last, but several peer-reviewed studies published in renowned journals suggest that prayer keeps relationships going. “The guys who are doing this work are pretty well-known in the relationship realm and are not at religious institutions,” says Ogolsky. “If you’ve had asked me what I thought about this five years ago, I would have said ‘ah no.’ This is not one of the things I would have ever thought would have been quite as robust as it is.” Praying may help the person engaging in the act think more lovingly toward their partner, because they want what is best for them and hope it comes their way. 1. Communicate effectively: This means that every day, couples are striving to listen to and understand their partner while communicating their needs as well. This includes “being positive, being open, providing partners with some assurance you’ll be around, splitting labor in the household and doing it together,” says Ogolsky. Yes, that means washing dishes from time to time. 2. Talk about their relationship: Couples who plan to stay together for a long time have discussions about their relationship. They talk about any problems they’re having, what their plans are for the future, and how they think they’re doing in the present. 3. Actively listen: This differs from #1 in that couples have to make sure to not just hear their partner, but listen. When one person speaks, this means the other person needs to put down whatever they’re doing and give their partner their full attention. 4. Make each other laugh: People who use humor often have a better chance of staying together. “It’s not about a funniness gradient,” says Ogolsky, “but whether or not that’s one of the tools in your tool bag that you pull out typically during stress. Those who demonstrate humor have a way of defusing the situation and making it easier to handle.” However, hurtful humor such as sarcasm and mocking can put a big dent in the relationship. 5. Plan fun things together: A couple that never hangs out or enjoys their time together won’t last very long. Being in a relationship requires both people to care about whether the other is having fun and doing things that make them happy. “Engaging in leisure activities with a partner is theorized to increase communication, define roles, and increase marital satisfaction when leisure satisfaction is high or when partners are positive and have strong social skills,” says the study. Having a good time with your partner is good for both of you. Ogolsky stresses that his findings aren’t a one-size-fits-all prescription for success, but rather, a research tool that couples might use as a reference. This is partly because most of the studies he and his team analyzed were done using college students, which means the same strategies may not translate into the real world. However, since these techniques have worked in over 1,000 studies, you might want to give them a try in your relationship!